You know sometimes, Gene, he has that — he didn’t have it right there — but a minute ago he had that great, that little boy smile of his, which is so winning. . . He brings it out. I don’t know whether it’s technique. . . 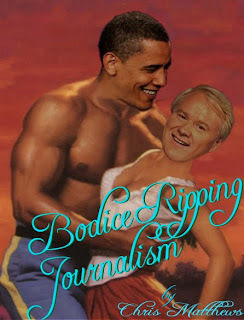 Does Matthews fantasize about Obama in the middle of the night, or does he suffer from 'half' white guilt?